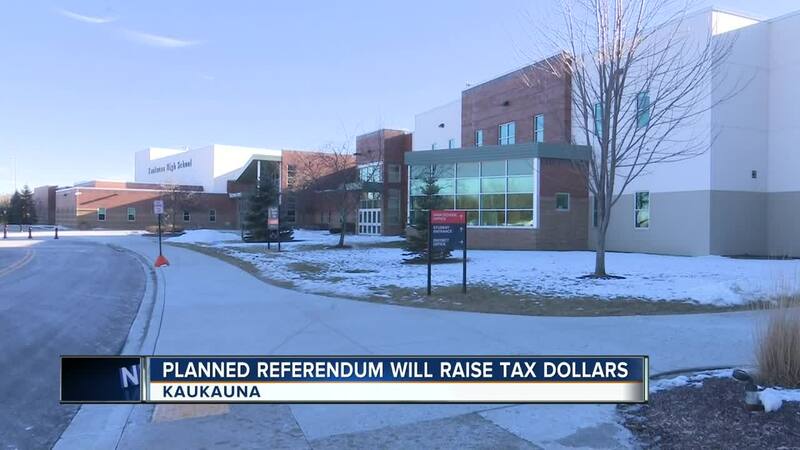 KAUKAUNA, Wis. — Voters in Kaukauna will have another referendum to vote regarding improving schools in the district, but it involves raising tax dollars. The ballot this coming April will give voters the opportunity to decide if they want to give $32 million to the school district so it can improve various things such as renovations and school safety. However, the planned referendum will raise taxpayer dollars to an increase of $67 annually for each $100,000 value of property. Around $14 million will go to increasing school safety and changing each elementary school to run a 4K - 4 Grade model. The remaining $18 million is expected to go to River View Middle School to renovate its building they say is nearly a century old. The superintendent says by giving more money to improve the school, the district will create a better learning environment for their students, which could eventually lead to what he thinks will be a better future for the city of Kaukauna and surrounding areas. "Upon a successful past referendum, we get immediately into the design and construction process.” Kaukauna Superintendent Mark Duerwaechter. “We would not be implementing anything until the 2020 school year." If voters approve this referendum in April, the school district says it plans on designing renovations right away. However, people will not start to see any construction or physical changes to the start of the 2020-2021 school year. Duerwaechter says they want to give as much time possible to successfully design their plans.